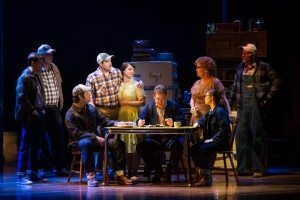 Before theater veteran Bartlett Sher directed The Bridges of Madison County on Broadway in 2014, and before its 1995 run as a movie starring Clint Eastwood and Meryl Streep, the love story was a slim book penned in two weeks by an unlikely first-time Iowa novelist, college business professor Robert James Waller. Through each beloved incarnation, the tale has garnered widespread accolades. The book was on The New York Times best-seller list for about three years. It sold more than 12 million copies and has been translated into more than 40 languages. Actress Streep was nominated for an Academy Award for her role as Francesca in the film version. The musical, which played at Broadway’s Gerald Schoenfeld Theater and starred Kelli O’Hara and Steven Pasquale, won two 2014 Tony Awards®, including Best Original Score and Best Orchestrations by composer Jason Robert Brown. Now, a national touring production offers the romantic tale from a perspective that is much different from the book or the movie. It’s still the story of a housewife who has a hot affair with a nonconformist traveling photographer, Robert Kincaid, while her husband and kids are gone for a few days. She passes up a chance to run away with him, choosing instead to stay with her family and forever pine for Robert. The story still pulls at the heartstrings. But the musical offers an entirely fresh perspective with greater involvement of Francesca’s husband and children, as well as the Winterset townspeople, who are often onstage, watching. Parts of the story – including the ending – had to be transformed for the stage production because of the medium, says Pulitzer Prize-winning playwright Marsha Norman, who wrote the script. There are no flashbacks or fast forwards in the musical. “This is a straightforward march from the time the family leaves the farm to go to the fair to the rest of their lives,” Norman says. Norman says the musical is about anytime anyone has had to walk away from a deeply moving experience and back into prior commitments. Composer Brown describes the process of writing an ending for the production as a challenge. In a rare interview, author Waller recently said he originally had no intention of publishing his romantic tale, but a friend who was a former editor insisted on sending it to an agent. “Decision-making involving matters of the heart is excruciatingly difficult, and that may be part of it,” he says. Waller has never second-guessed Francesca’s decision to stay with her family, rather than to run away with her lover. “I believe she did the right thing, not so much to spare them gossip, but to spare them everlasting heartbreak,” Waller says. “Deep inside himself, over the years, Robert Kincaid knew she made the right decision, for he would have done the same in her position. 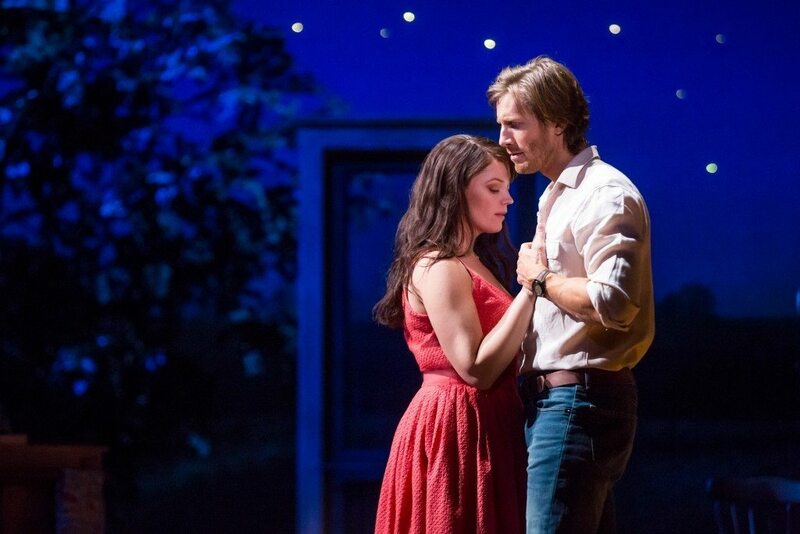 Bridges fans of every type have the opportunity to fall in love with Francesca and Robert all over again as the two-time Tony Award-winning The Bridges of Madison County sets out on its national tour – including a stop in Reynolds Hall Feb. 23-28. Tickets for the Las Vegas engagement start at $29 and can be purchased online here, by phone at 702.749.2000 and at The Smith Center Box Office. Pulitzer-Prize winner Jane Schorer Meisner is a longtime Iowa writer who grew up one county away from the famous covered bridges.